The USA is known as the most powerful nation in the world both in terms of economy and security. Apart from that, nation is also famous for their historical monuments and natural heritage. So if you’re a history lover and a desperate traveler you’re at a right stop. Down below is a list of best and amazing five historical monuments present in the USA. 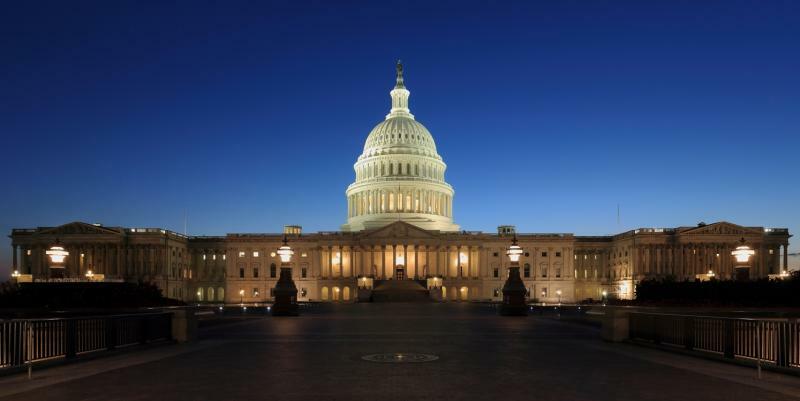 The U.S Capitol is the house of representatives and senate. This famous historical monument building houses Senate offices, supreme court, gallery, library of congress and house office. Apart from that, there are 540 rooms in the entire monument. The first president of United States, George Washington laid the cornerstone of this legendary building on September 18, 1873. The U.S Capitol consists of a height of 288 feet and a diameter of 96 feet which was designed by American architect Thomas U.Walter. The main feature which attracts the eyes of its viewers is the statue of freedom made of bronze which crowns the monument. 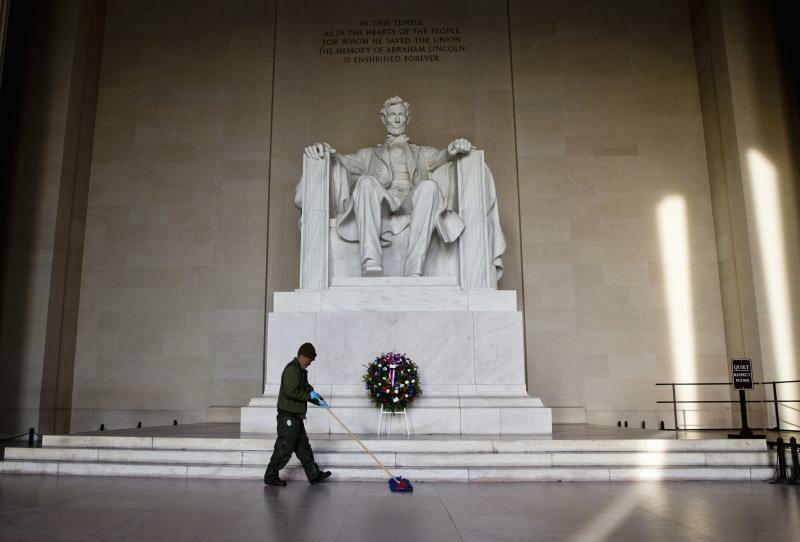 The Lincoln Memorial located in Washington D.C in the memory of great president of the United States, Abraham Lincoln. 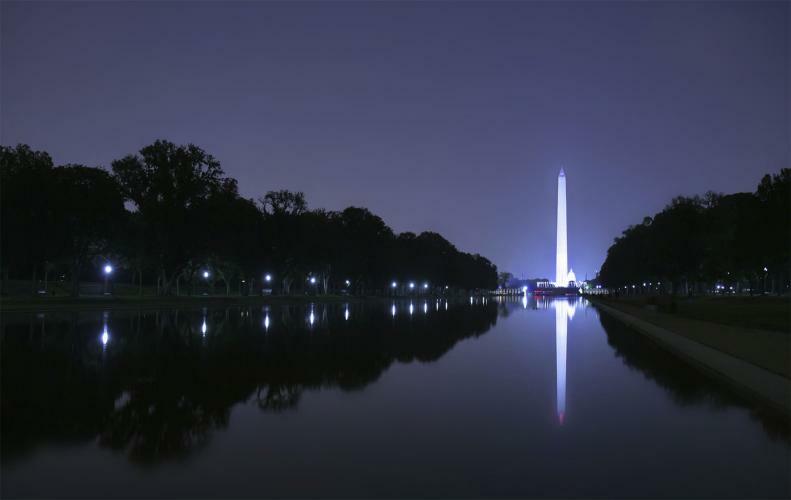 This historical monument is the nation's most visited monument, which gains over six million visitors every year. The Lincoln Memorial was built between 1914 and 1922 by American architect Henry Bacon which consists of a massive 19 feet high sculpture of Abraham Lincoln. The sculpture was made of Georgia marble and designed by Daniel Chester French. 36 enormous columns also surround the monument. The columns represent 36 states in the Union amid last time of Abraham Lincoln. The Statue of Liberty is actually a gift from France to America to commemorate the declaration of American independence. The statue represents The Roman Goddess of freedom, Libertas. Nowadays the statue of liberty is an icon of New York city and symbol of freedom. This iconic statue stands at a height of 151 feet and weighs more than 200 metric tonnes. And the most important part which most of us don't know is that this legendary statue is entirely made of copper and it looks in green color due to oxidation. Apart from that, the seven spines on the crown of the figure represent the seven continents and seven oceans in the world which has 25 windows that bring panoramic views of the surrounding places. The original torch held by the goddess was replaced with a new copper torch with golden sheets in 1984. The golden sheets reflect amid the day by Sunlight and reflect in the night by 16 floodlights. 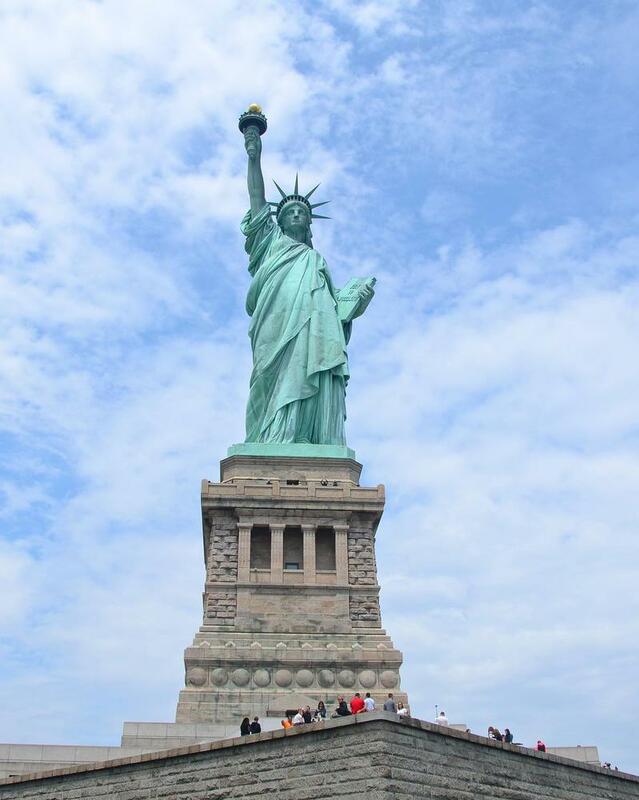 The forever-lit torch of the statue of liberty represents enlightenment to the world. Washington Monument "the most prominent structure in Washington, D.C.," was constructed in 1884 in honor the first president of the United States, George Washington. This historical monument is over 555 feet tall and offers views of more than 30 miles in the distance. 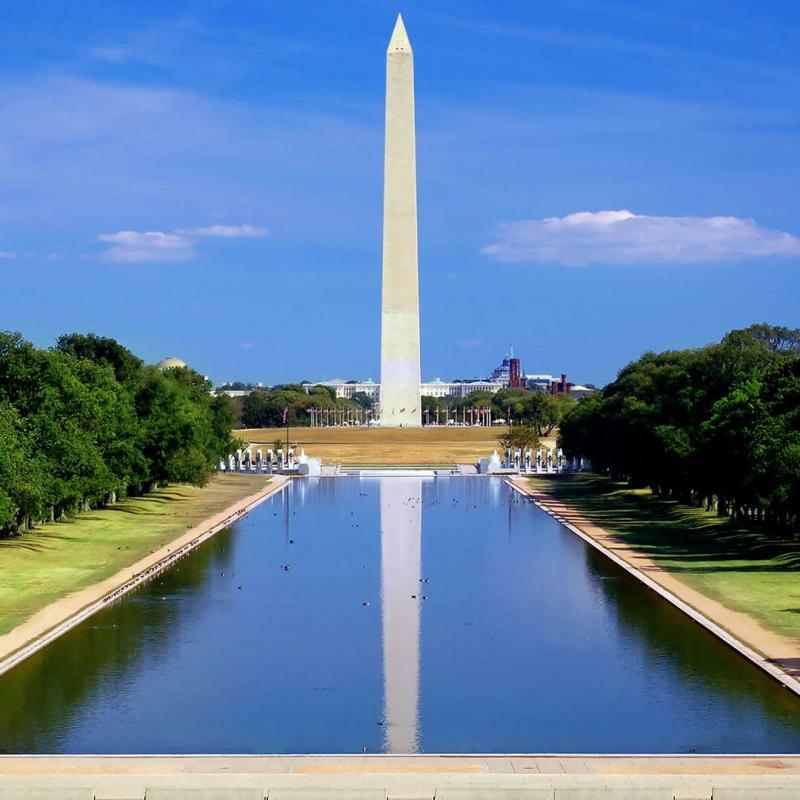 The Washington monument is made of marble and granite where the interior of the monument has a collection of hundreds of the commemorative stones from different countries around the world. 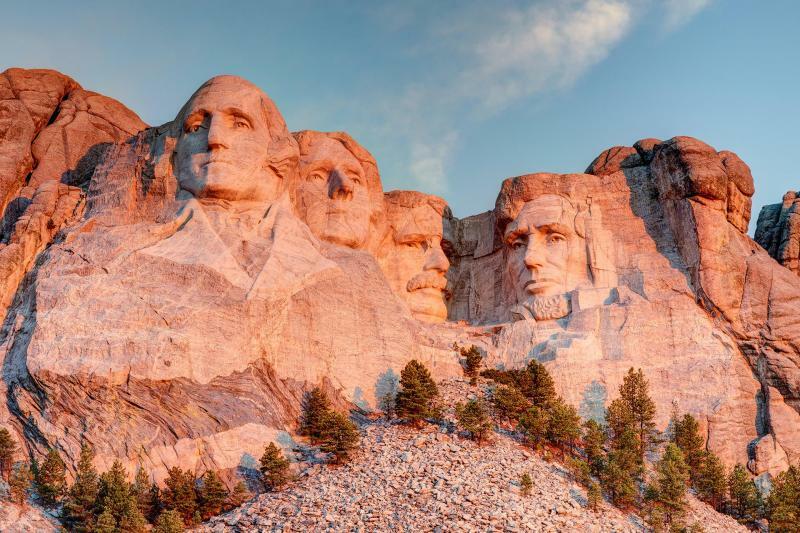 Mount Rushmore national memorial represents four vast sculptures of the heads of four influential U.S presidents - George Washington, Thomas Jefferson, Theodore Roosevelt, and Abraham Lincoln. It took 14 years for 400 workers to carve the faces, which are about 60 feet tall, into granite. Carved into the Black Hills of South Dakota and visited by 2.5 million people a year. Approximately 45000 tons of rocks were removed from the rock face during the construction using dynamite. The noses of the sculptures on Mount Rushmore are 20 feet long, and mouths are 18 feet wide. So these were some of the best historical monuments ever visited till date in the USA. Please share the post if you liked it.